Olay soap, shower gel, lotion and fragrance list. 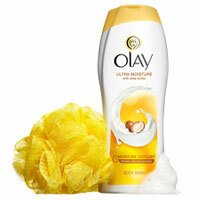 Olay bath and body collection: Olay is an American skin care line of products owned by Procter & Gamble. "Oil of Olay" was created by ex-Unilever chemist Graham Wulff in 1949. The name Olay was a spin on the key ingredient Lanolin.